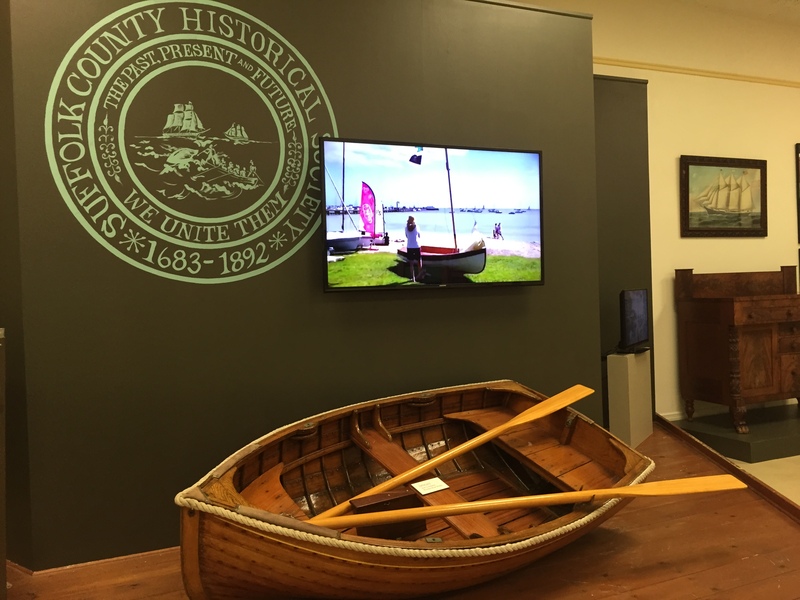 Before summer ends, take a jaunt through the history of boatbuilding on Long Island and learn how modern builders are trying to maintain the traditions at Suffolk County Historical Society Museum. Done in conjunction with Long Island Traditions, From Shore to Shore: Boatbuilders and Boatyards of Long Island highlights the work of legendary boatbuilders like Patchogue’s Gil Smith and Don Costanzo of Wooden Boatworks, who run apprenticeships in an effort to mold the next generation of master craftsmen. There was a time when boatbuilding and Long Island went together like cheese factories and Wisconsin. It was a way of life, something woven into our cultural fabric. But the tides have changed in recent years. 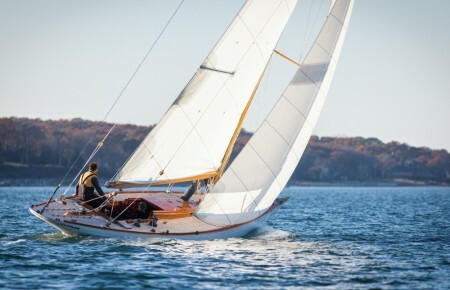 Blame the recession, fishing regulations and Hurricane Sandy, but people just aren’t buying boats like they use to and boatbuilders are struggling to stay afloat. 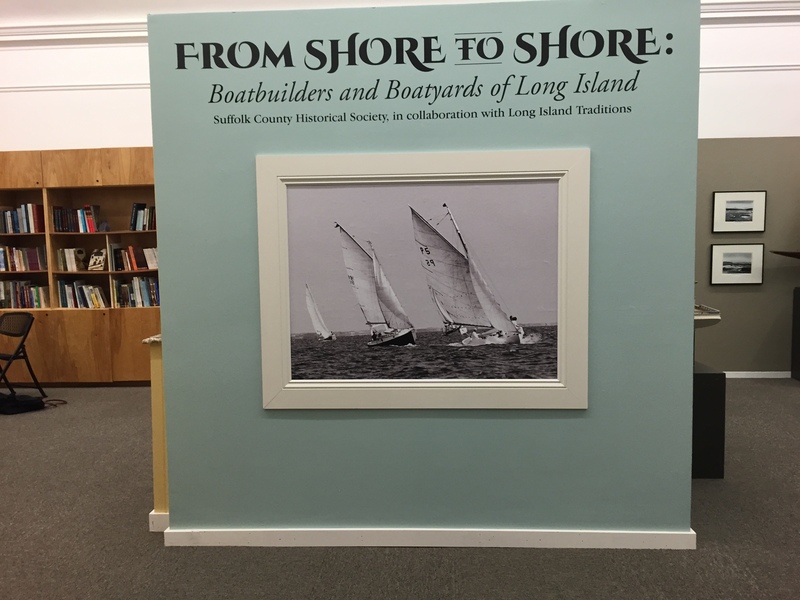 As you walk through the two rooms don’t just look at lakeboats and dinghies built by Long Islanders over the past two centuries, learn how they were built and what they were used for. There’s fodder about how shipyards were used to aid the defense industry during the World Wars and rum-running shenanigans during the Prohibition Era. Read between the lines of the placards and you’ll see that for people like Fred Scopinich, a third-generation boatbuilder who bought Hampton Shipyard in East Quogue from his father and uncle in the 1950s, boatbuilding wasn’t just a way of life, it was life. 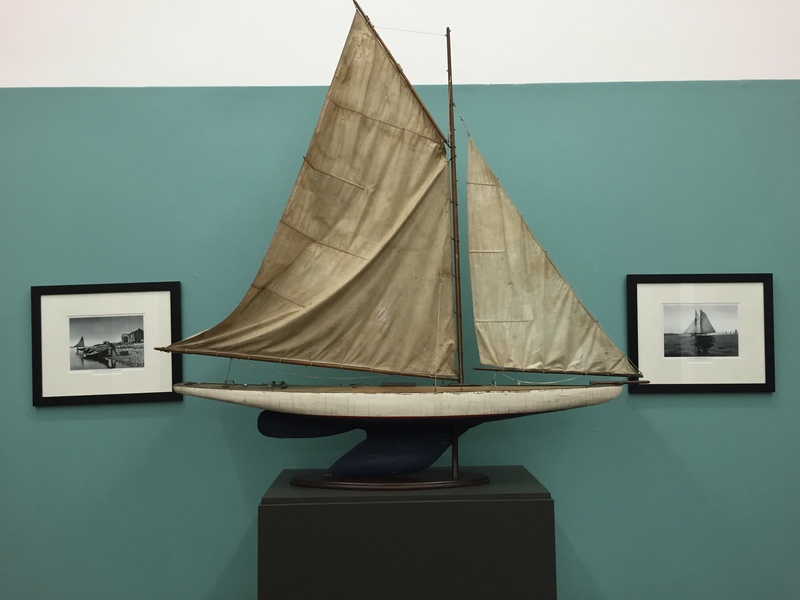 It’s that passion-fueled culture that Solomon hopes never truly dies out because losing the boatbuilding industry on Long Island would be like losing part of our identity.